Whether or not a journalist has the right to cover the White House has been debated since CNN's Jim Acosta had his hard press pass revoked last week. Journalists and the American people have been pondering the question. 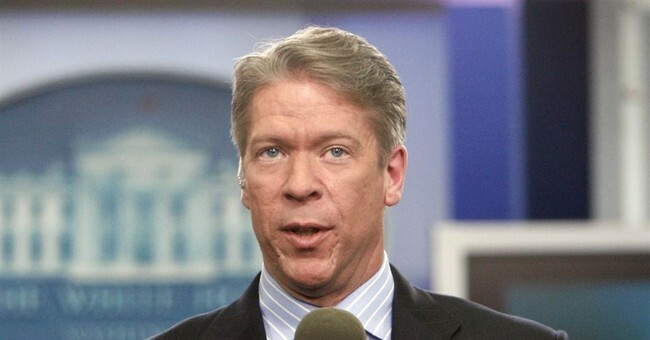 During an interview with Mediaite's Larry Larry O'Connor, CBS White House Correspondent Major Garrett went into detail about decorum said the White House press pool is expected to hold themselves in a specific manner. "It's [the White House] the most majestic political place in America – the White House. The only place second to that, in my experience, where I spent almost 15 years, is in Congress," Garrett explained. "It can be rough and tumble there [in Congress]. It can be rough at tumble there at times at the White House but it is a place of institutional passage and commands institutional respect." Although he was uncomfortable talking about Acosta's actions specifically, he did talk about his own personal experiences and how the interactions between the press and the president should take place and how journalists should carry themselves. Specifically, Garret referenced a press conference in the Rose Garden. He raised his hand, Trump looked at him, a White House aide handed him the microphone but when he went to ask the question, Trump replied, "No, not you. Behind you." It turned out Trump was calling on CNN's Kaitlan Collins. When Garret realized what happened he handed the microphone back to the White House aide, no questions asked. Garret is right. The White House press corp should act professional. They should respect the institution and the man the American people voted in to run the country. Jim Acosta – the president has seen your actions. The American people have seen your tantrums. And the world has watched you make a mockery out of journalists in the United States. You've won the battle of being reinstated. Don't blow it. Be polite. When you're given the opportunity to ask a question, ask ONE question. Don't go into a Twitter rant at the microphone. It's rude to the Trump administration and the other journalists in the room. You're not more important than any other reporter sitting to your left and your right. Show them the same respect that they show you and you won't have to worry about your access being revoked.